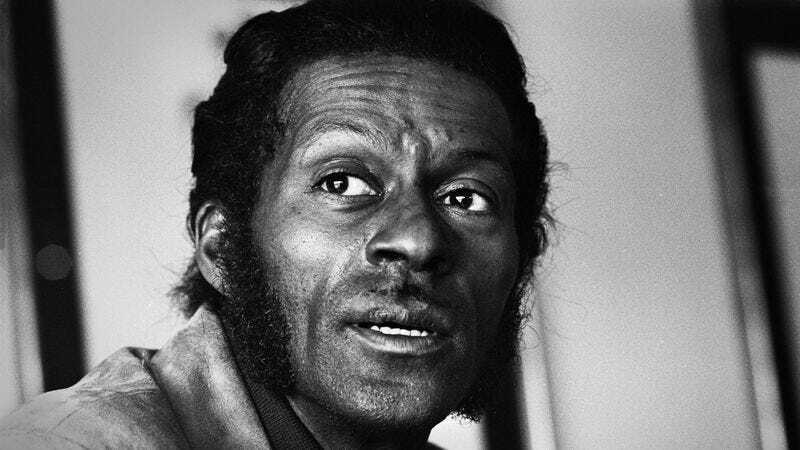 One of the founding pillars of rock and roll has crumbled today, with Pitchfork and other outlets reporting the death of Chuck Berry. Berry, 90, influenced basically every major rock star of the last 70 years, refining elements of rhythm and blues and country into a showy, rollicking, virtuosic beast that invited white audiences into a predominantly black musical world. Berry achieved lifetime achievement awards more than a lifetime ago, was one of the first men inducted into the Rock And Roll Hall Of Fame, and carries the distinction of being the only rock musician to have a single currently floating somewhere in interstellar space. In 1959, Berry’s career skidded into the dirt, though, when he was arrested for transporting a 14-year-old girl across state lines. Berry would eventually serve 18 months in prison on charges relating to the arrest, after appealing an original five-year sentence. The conviction tarnished his reputation and halted the momentum of his career, but the rapid adoption of his music by British invasion artists—including The Beatles and The Rolling Stones—meant there would still be a receptive audience waiting for him when he was eventually released. Berry set much of the template for the modern rock star; not just in his music, but in his role as someone whose talents as a performer battled constantly with his failings as a man. Beyond his difficulties with other musicians, his career was hounded by lurid implications and rumors about his sexual proclivities; not just the 1959 case, but a 1990 class-action settlement with the women who worked at his Missouri restaurant, who claimed that he installed hidden cameras to spy on them. All of those whispers and accusations will remain part of his legacy, standing alongside some of the most enduring music of the 20th century. Tireless, Berry continued playing publicly until 2014, until he eventually retired at the age of 87. Last year, he announced that he was working on a new album, set to be released some time this year. His energy, his style, and his talent for self-destruction are still embedded in the rise and fall of every rocker to take the stage with swagger and style and a guitar in their hand, and his music will endure well beyond his death, floating out into the stars.